This past weekend marked Team Ontario Elite’s last training sessions before they embark on their France trips over March Break. The Team Ontario Elite boys had an opportunity to play a best of 5 match against the Polish Jastrzebski Wegiel Academy 18U team on Sunday January 5th. The match was part of a double program at the David Braley Athletic Centre and was played prior to the McMaster Marauders match against the same academy’s 20U team. Team Ontario started the match winning the opening 2 sets and lead for the most part of Set 3. Team Ontario had a few match points in the third set but the Polish team rallied back to take the set. JSW was dominant in the 4th set and easily pushed the match into a 5th set that they won to take the match by a score of 3-2 over Team Ontario. All the 16 players of the Team Ontario Elite squad got to play in front of a passionate crowd during the match. It all started in front of about 150 spectators but by the time the 5th set started, the Burridge gym was full of fans coming to cheer on McMaster who was playing next so the match ended with over 800 people watching. 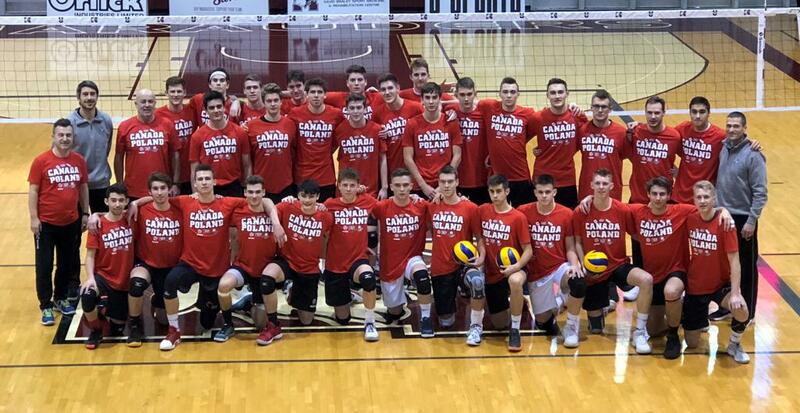 The opportunity for the top 17U & 18U boys in Ontario to play an international team from the world's leading volleyball nation in one of the best venues in the province was truly incredible. There is no doubt that this experience will help them be better prepared for the reality of post-secondary and international volleyball. The OVA is extremely thankful to the McMaster Marauders team and support staff for helping make this match possible. We also want to thank the JSW academy for the great match and wish them a good rest of trip here in Ontario. The Team Ontario Elite girls spent their weekend at the Markham Pan Am Centre. The first two days consisted of intense training led by Team Ontario Elite Head Coach, John Nguyen, and York University Lions Women’s Head Coach, Jen Neilson. The girls had the opportunity to compete with the York Women’s Varsity team where they experienced what a training environment looks like at the OUA level. To end the training weekend, on Saturday January 5th the team competed in the ONE Volleyball Challenger 2 tournament. The ONE Volleyball league provides a professional environment to elite athletes to support the growth of post-secondary volleyball in Canada. The athletes that compete in the ONE Volleyball league are past OCAA, OUA/USPORT, NCAA, Professional and Team Canada athletes. Team Ontario Elite had a strong start to the tournament winning 5 out of 6 sets which landed them first in their pool! 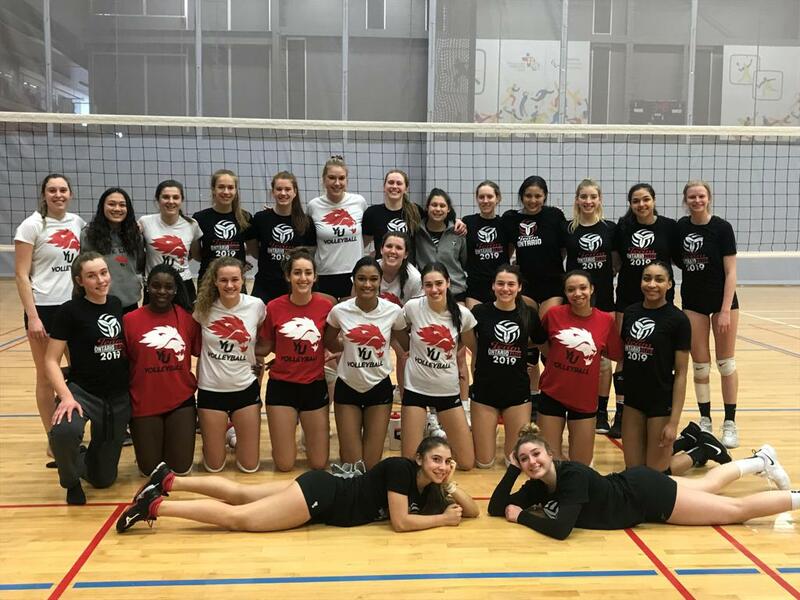 During their crossover match, the Team Ontario Elite squad lost a nail biter in the third set to an experienced team led by past Team Canada all-star, Becky Pavan. Overall, the Team Ontario Elite girls played extremely well, proving that they can compete against the top competition in the country. The Team Ontario Elite girls would like to thank Jen Neilson and the York Women’s Volleyball team for joining us and the ONE Volleyball league for allowing us to compete in the tournament.